At the event titled Impressions of the 2018 Architecture Biennale held on 13 June 2018 in the iconic space of the Fiandre Architectural Bureau in the Sarotti-Höfe, Berlin, Mario Cucinella from MC A, Lars Krückeberg from GRAFT and Christine Edmaier, President of the Berlin Architects' Association discussed their national participations and FREESPACE in general. On June 13 FAB Architectural Bureau in Sarotti Höfe, Mehringdamm, Berlin hosts a round table discussion about FREESPACE, the 16th International Architecture Exhibition in Venice. Exclusive images of the Biennale by Berlin photographer Ken Schluchtmann will accompany a discussion with Mario Cucinella MCA, curator of the Italian pavilion, Lars Krückeberg of GRAFT, curator of the German pavilion, and Christine Edmaier, chair of the Order of Architects of Berlin. 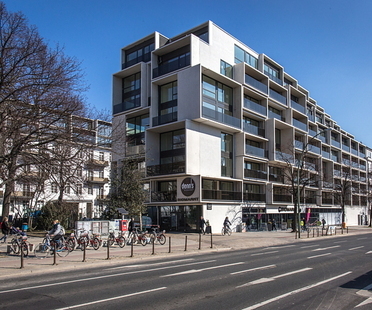 In Berlin’s green Grunewald district, the architects of GRAFT designed a single-family home offering a surprising modern interpretation of comfortable city living. The façade covering featuring big Fiandre Architectural Surface slabs helps make the home look like a live-in sculpture. 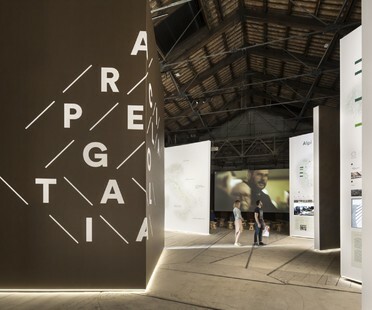 This year's German pavilion at the 16th International Architecture Exhibition – La Biennale di Venezia is curated by GRAFT architecture firm and Marianne Birthler, and its theme is “Unbuilding Walls”, a reference to Germany's division and reunification. “Architektur für Alle!” - architecture for everyone - is the theme for the 2016 Architecture Day. The Museum of African Design in Johannesburg is hosting the “Young Architects from Germany” exhibition until 21 September 2014.